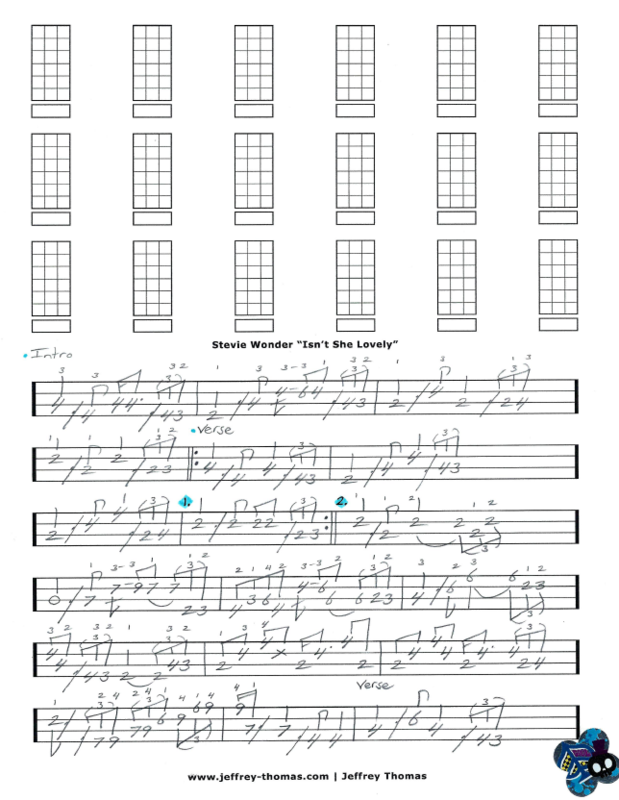 Stevie Wonder Isn’t She Lovely Free Bass Tab by Jeffrey Thomas. This is one of my favorite tunes by Stevie and I have a great bass tab so you can learn the whole song. Learn the proper song structure with endings and repeats, fingerings and all the signature bass licks. I have so many bass students who request this song by Stevie. It is super fun to play! If you would like the full bass tab just send in your email address using the form provided. Looking for great bass lessons? Fill out the Schedule A Free Lesson to set up your free Skype bass lesson today. Despite the popularity of this song it never made it to the U.S. charts because Stevie would not allow it to be released as a 45. Find more free online bass tab on my tab, video and blog pages.